The Chinese confronted the two ships -- the Higgins destroyer and the Antietam cruiser -- and ordered them to leave as they sailed within 12 nautical miles of the Paracel Islands, an archipelago in the waters over which Beijing claims total sovereignty. China's Ministry of National Defense said the United States "seriously violated China's sovereignty" and undermined peace, security and mutual trust between the two nations and their militaries. 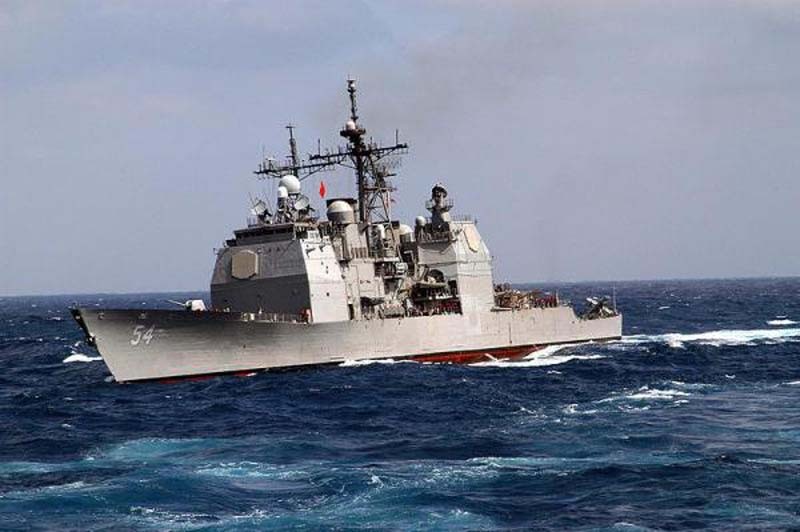 The U.S. ships were performing so-called "freedom of navigation operations" meant to exercise the U.S. right to navigate the waters under international law, as China's claims over the South China Sea aren't internationally recognized. "The Chinese army is determined to strengthen the preparations for sea and air combat readiness, raise the level of defense, defend national sovereignty and security, and maintain the determination of regional peace and stability," Chinese Defense Ministry spokesman Wu Qian said. The confrontation comes after the United States rescinded its invitation for China to participate in June's Rim of the Pacific international maritime exercises on Thursday. On May 18, China announced the People's Liberation Army Air Force landed the advanced H-6K strategic bomber on an island reef for the first time.